Curiosity drew us to Cuba in 2013. This island country lies just 90 miles from Florida's coastline, but it's a world away in culture and ideals. Cuba has been off-limits to American travelers for more than half a century, but some of the mystique has disappeared since the Obama administration pledged to renew diplomatic relations in January 2016. 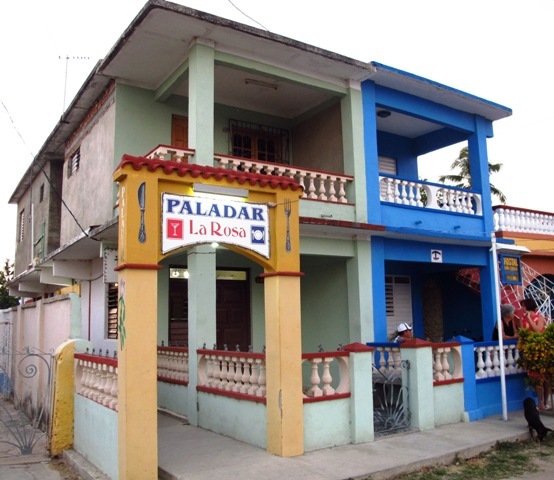 Many Cubans have opened paladars, restaurants in their homes. Read more about my journey in this article published in Arizona Highroads, a AAA magazine. We traveled 1100 miles across Cuba on a "people-to-people" tour with International Expeditions, learning how ordinary Cubans live and work every day. Children in a rural school accepted donations from our tour group.